— In all my performances I write both the music and the stage direction. The scores of all my performances are exactly fixed, what I am doing is staging real situations and happenings. There does not exist any choreography; the actionist knows exactly what he has to do. It’s like when there is a fire and it has to be put out. I rehearse with my action artists for 4 weeks before the performance. 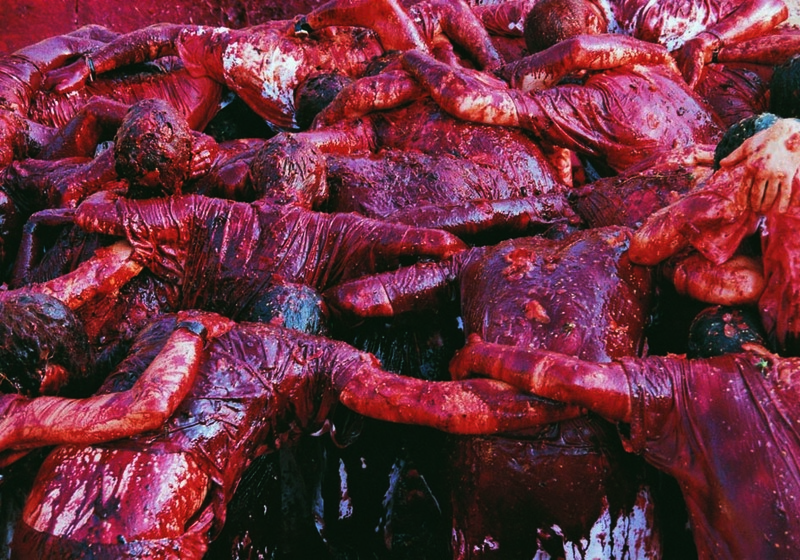 Hermann Nitsch was born in Vienna in 1938. In 1957 he created the concept of the Orgies Mysteries Theater (OMT), a six-day event that continues to captivate him throughout his career.